Getting your license starts with Texas Adult Driver’s Ed. This TDLR (formerly the TEA) approved online course eliminates the need to take the written test at the DPS. In Texas, adults 18 through 24 years old must complete a specific driver's education course in order to apply for a TX driver's license. You'll need to pass a knowledge exam, which can be done online through certain course providers. Once you've completed your course, you'll also need to complete the Impact Texas Young Drivers program, pass an in-car road test, and pay a driver's licensing fee. Teens aren't the only ones who are required to take a Driver's Ed course prior to getting a driver's license in Texas. Adults must also complete a course before applying for a first-time license. 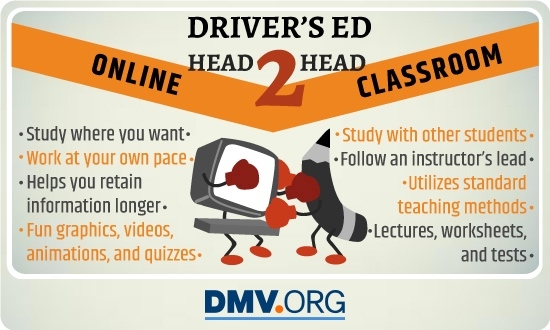 If you're 25 years old and over, completing an adult Driver's Ed course isn't mandatory, but it is very convenient for you if you choose an online program; once you complete the course, you are exempt from taking the written licensing test at the DPS. * NOTE: if you hold a valid driver's license from another U.S. state or territory, or from any other county with license reciprocity agreements with Texas (such as Canada, France, Germany and South Korea), the course is not mandatory. 6 hours of instruction, online or in classroom. Although you have the option of taking the course in a traditional classroom setting, the majority of people opt for an online course, due to its convenience in scheduling and location. Additionally, for many course online course providers, the final exam for the course doubles as the written exam you would take at the DMV. So once you pass your final exam, you've also passed the DMV exam. You are also required to complete the Impact Texas Young Drivers (ITYD) program. You can also opt to take a traditional driver's education course, if you feel you need or want the full training that a comprehensive Driver's Ed course can provide. These courses are taught in both online and in traditional driver training schools, and require the completion of BOTH classroom instruction and behind-the-wheel training. 30 hours of behind-the-wheel training. Texas traffic laws and road signs. Defensive driving and hazard prevention techniques. Fundamentals of safe and responsible driving. Consequences and penalties for serious offenses, such as driving under the influence (DUI). The Texas Driver Handbook is a good place to get an idea of what you'll cover during your course duration. What Happens if I Fail an Adult Driver's Ed Course? If you opt for an online course, you can usually retake each chapter as many times as necessary to pass. Typically, the only way you can fail an online course is to not complete it. This is, however, dependent on your course provider. Circumstances that may lead to potentially failing a classroom course are to be determined by your instructor and program rules. If you choose to take your course in a classroom setting, you may or may not be required to pass a final exam. If you don't pass on your first attempt, many course providers offer free retakes until you do. Please refer to your course provider for more information. Included in the required documents is your certificate of completion for the Impact Texas Young Drivers (ITYD) program. This is required for drivers 18 through 24 years old who have completed adult driver's education, and drivers 25 years old and older who may or may not have completed driver's education. The program is a free, 1 hour video detailing the dangers of distracted driving. After watching the video, the DPS will e-mail you a certificate of completion. You must submit the certificate within 90 days of completion when you take your road skills test. To register and watch the video, visit the state's Impact Texas Drivers page. For further details, visit our page on Applying for a Texas Driver's License. Looking for Adult Driver's Ed in another state?